Description: Great Kerrisdale home on an extra deep 33x135 southern exposed back yard lot. House was extensively renovated & raised w/permits in 1987. Top floor has huge master bdrm w/insuite & balcony over looking the bright southern garden. 2nd bdrm currently used as a walk-in closet. Main floor offers wood floors, office/den, formal living rm w/gas fireplace, open family/dining rm w/big bright open kitchen. Down has full height ceilings w/4 bdrms, bthrm, laundry rm & utility rm. 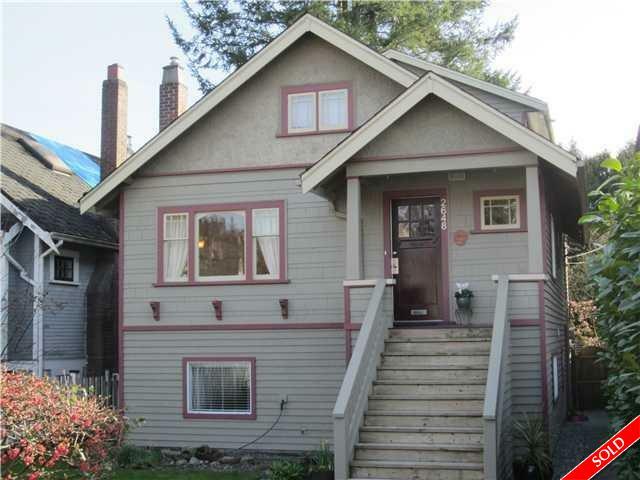 Easy access to UBC, walking distance to shops & community center. A must see property! School catchment Kerrisdale elementary & Pt Grey high-school. Open house Sat & Sun Mar 14 & 15, 2-4pm.